Dottsy Brodt Dwyer (born April 6, 1953 in Seguin, Texas) is an American country music singer. She grew up in Seguin. Between 1975 and 1981, she recorded as Dottsy for the RCA Records label. During that timespan, she charted thirteen cuts on the Hot Country Songs charts, including the Top Ten "(After Sweet Memories) Play Born to Lose Again." Four of her other songs reached Top 20 on the same chart. She returned to her hometown where her family has deep roots. She married and took time off needed to raise her children, while being active in local groups—and not just as the performer they could always count on. After her kids finished college, Dottsy signed with Heart of Texas Records and in 2010 released a CD album entitled "Meet Me in Texas". 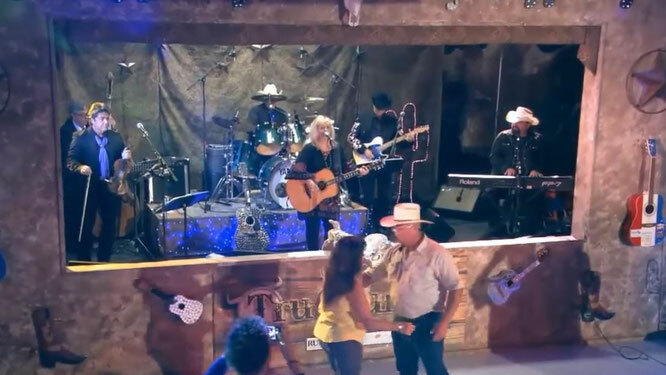 She has been performing on a circuit of mostly small towns in Texas, usually touring with other artists from the label. Dottsy's favorite venue is the Texas Theatre in Seguin, an 80-year-old one-time movie house. She helped the Seguin Conservation Society raise funds to restore the small movie palace, making it into a beautiful space for the performing arts, with modern equipment and wonderful acoustics.